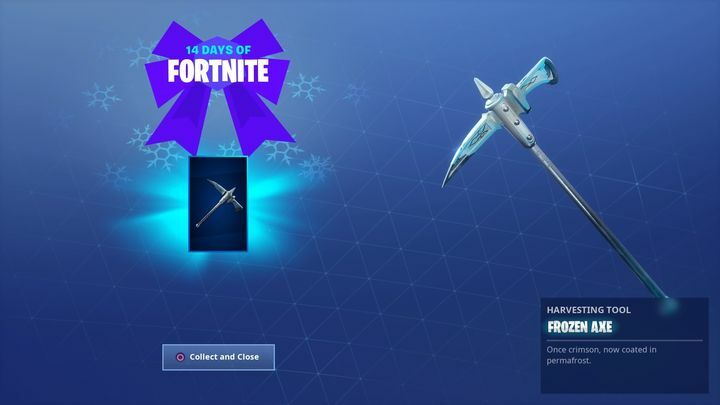 If one thing is clear, is that the “14 Days of Fortnite” challenges kept many Fortnite fans busy during the holidays, and many new players likely also had fun completing these challenges in order to receive cool in-game rewards such as the Frozen Axe pickaxe. However, many Fortnite players were miffed by the fact that Epic decided to make the challenges unavailable in the game on January 1, meaning those yet to complete them would no longer be able to do so. However, Epic has listened to protests from the Fortnite community and will be making the challenges available in the game again starting early this week, as reported on Forbes. “We communicated an incorrect end date for the 14 Days of Fortnite event and did not feel the Equalizer Glider compensation was the right approach. After further discussion, we’ve decided to bring back this event early next week through January 15 at 3 AM ET(0800 UTC). We’ll also be enabling some of the most popular Limited Time Modes that were available during the event”, said Epic in a statement on its website. It shouldn’t take long for the 14 Days of Fortnite challenges to become available in the game again, while you’ve now got until Tuesday next week (January 15) to complete these and earn the corresponding rewards. 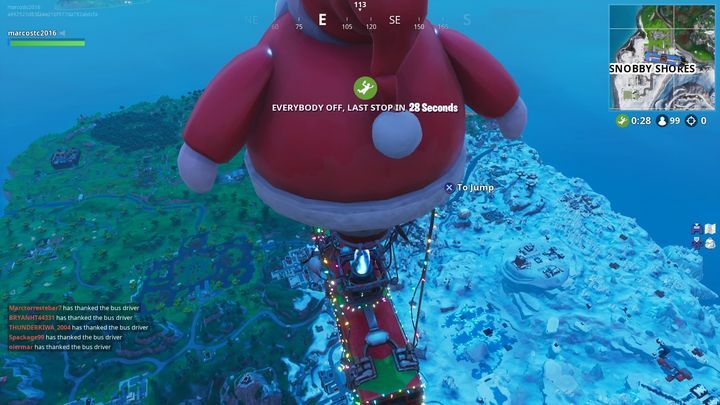 This will surely be great news for those who did not have the time to complete these last month, as they will now get another chance to complete challenges like thanking the bus driver and visiting giant candy canes in the game now. For those yet to get started with these challenges, I’ll reveal the solution to one of the simplest yet in Fortnite: thanking the bus driver, that is. 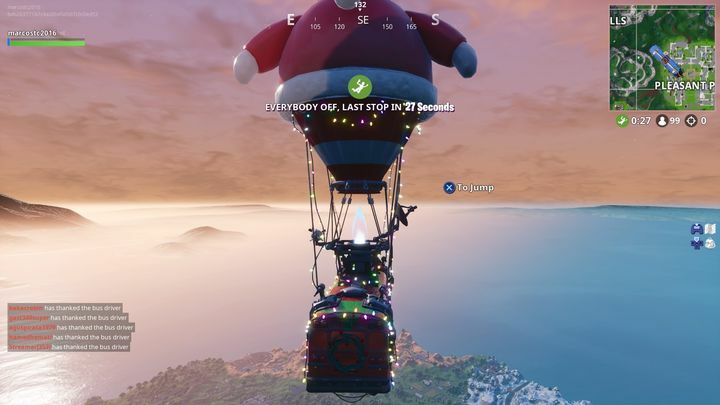 After a game starts, you can thank the bus driver while on the bus and before jumping to the island below. To do this, just hit the emote button. On PS4 and Xbox One, this is directional pad down (D-pad down). If you’re playing on PC with a controller, it’s the same button you have to hit, but if you’re using keyboard and mouse, the B key on your keyboard will do the trick. You need to thank the bus driver in 11 different matches. If you want yo get through this challenge quickly, you could thank the bus driver by hitting the corresponding D-pad button and land on water, thereby eliminating yourself so that you can start another game quickly. Either that, or play 11 matches to completion until you’re eliminated by other players or win the Battle Royale, always remembering to thank the bus driver before jumping off the bus. This challenge involves little effort to complete, and it’s definitely worth it. You’ll be rewarded with an enhanced version of the pickaxe, as seen in the image below. Either way, do have fun completing the 14 Days of Fortnite challenges if you haven’t done so yet, and stay tuned to this website for more Fortnite news and info on how to complete season 7’s weekly challenges as they become available in he game.